ULINKPlus is now available with the promotion going live from 1st December 2017. Please note that the promotion includes term licences and 1 ULINKplus per seat on purchase of Keil MDK-Plus or Keil MDK-Pro node-locked/floating licences. Educational orders do not qualify for the promotion. 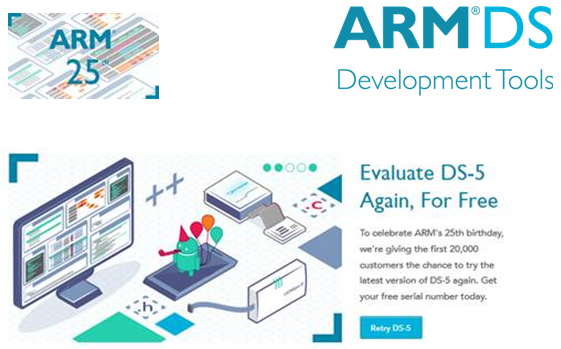 To celebrate ARM’s 25th birthday, we’re giving the first 20,000 customers the chance to try the latest version of DS-5 again. 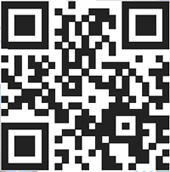 Get your free serial number today. Until December 31st 2015 you can buy our most popular debug probe ULINKproD for $200 (€175) (retail price $695), when purchased with a new seat of either DS-5 Professional Edition or Ultimate Edition. JTAG clocks at up to 60 MHz for rapid upload. Up 9.6 Gbps trace speed (600 Mbit/s per pin). 2.5 MB/s download speed. Capture extended non-intrusive trace even on the fastest targets to get a detailed picture of software execution. These video tutorials are designed to give you an overview of the DS-5 Altera Edition toolkit, in particular debug and trace. To learn more about software optimization using DS-5 Streamline performance analyzer, take a look at these four real-life use cases: Timeline analysis, Smart software profiling, Benchmarking and System-level analysis. *$1,000 or €800 off of the standard DSTREAM list price, not in conjunction with any other offer and non-exchangeable. Final discounted price $2,500 or €1,980. DS-5 Altera Edition serial number must be provided. Subject to hardware availability. Offer ends 31st March 2015. 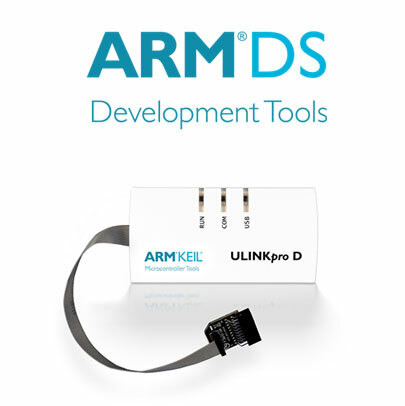 Get ULINK-Pro-D debugger free with the purchase of either Keil MDKARM or Keil MDK for Cortex-M tools. Get ULINK-Pro debugger free with the purchase of Keil MDK-Pro tools. 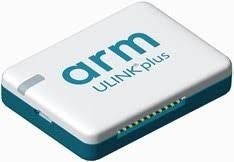 Receive a discount of 50% on your purchase of Atollic TrueSTUDIO Pro for ARM by providing us with proof of a commercial license of CodeWarrior Developer Studio for Microcontrollers. Promotion valid through September 30, 2014 for CodeWarrior users with proof of an existing, commercial license.